This is the airy arete located west of Benagh promontory fort. It drops steeply to the south into Com an Chnoic, and even more abruptly to the north into Coimín na gCnámh. Previously Brandon Mtn North East Top in MV. 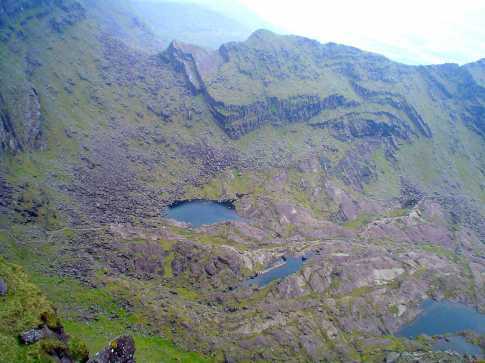 Faha Ridge is the 36th highest place in Ireland. Faha Ridge (centre of photo) as viewed from the southern slopes of Mount Brandon heading toward Brandon Peak.